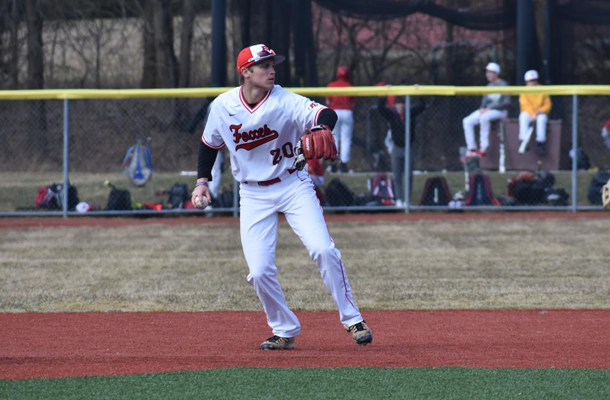 Baseball player Jacob Gruden wouldn’t have mapped out his high school athletic career the way it has unfolded, but the ups and downs have taught him a valuable life lesson: How to turn a setback into a comeback. Now, he’s more than ready to get back on the diamond and make up for lost time. 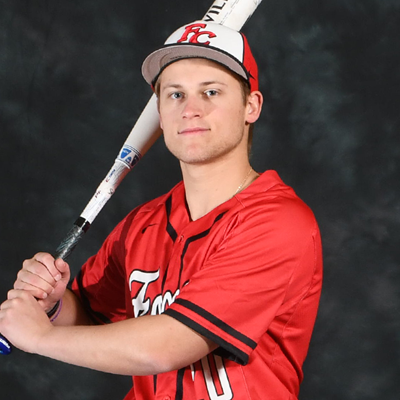 When the current senior was only a sophomore during the Foxes’ 2017 baseball season, he had impressed the coaches enough to make the varsity squad. He played well that year and had a bright future ahead of him as a pitcher. Yet, he was bothered at times by nagging pain in his right shoulder, and physical therapy once the season was over did not solve the problem. It was then that Jacob and his parents saw a specialist and his diagnosis was not good – he had a torn labrum. It was a time, Jacob recalls, that was “terrible” and the ordeal ended up testing his dedication, tenacity, and determination on all levels. After Jacob’s surgery in 2017, it took months for the 5’10” right-handed pitcher to rehab his shoulder. After more physical therapy, which was ineffective, last fall he underwent reconstructive surgery. “It only took about a month-and-a half to recover from that surgery, and then I did five months of physical therapy. But all of it was much easier than the first time,” Jacob says with relief. 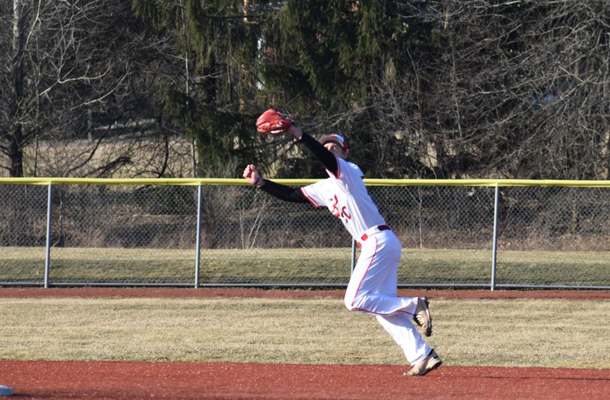 The Foxes’ 2019 baseball season is now underway, and there’s probably no one on that team who is happier than Jacob. He’s feeling great and, even though he can no longer pitch, already has earned high praise from Coach Jim Hastings, who predicts Jacob will be a big contributor this year on both offense and defense. Watching how Jacob responded to adversity and his demeanor under pressure aren’t the only things that have Coach Hastings very optimism about Jacob’s role this year. Jacob says his aim this year is to help the team win their section and get back to the WPIAL playoffs. But most of all, he wants to be a leader and good teammate. Triple Threat on the TrackOur State Champion!